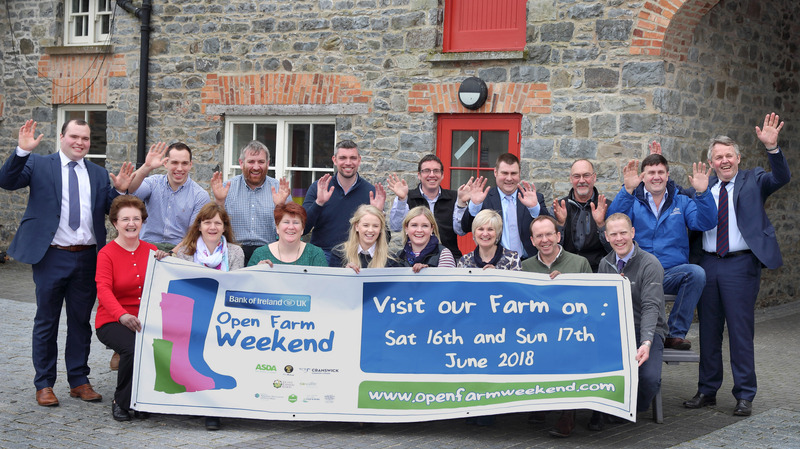 Seventeen farms have signed up to participate in Bank of Ireland Open Farm Weekend 2018 and have undergone training to help them be prepared to welcome the public this summer. 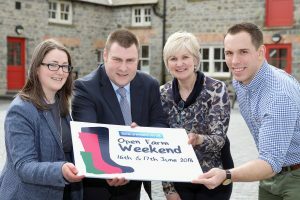 Running on Saturday 16th and Sunday 17th June, the popular initiative gives consumers and their families the opportunity to visit farms across Northern Ireland, for free. Three new farms will open their doors to the public including the star of UTV’s recent Rare Breed series, Geoffrey Ringland of Churchview Farm in Co Down. Mossbrook Farm in Carryduff, home of the Farm House Treats bakery, is also participating for the first time along with Gareth Murray’s poultry farm in Co Armagh. At the training day held at CAFRE Greenmount, visiting speakers from NFU Mutual, HSENI and Mash Direct helped farmers to plan ahead and think of interesting, informative and safe ways to engage with the public on their farms and via social media. Visitors can plan journeys to the participating farms on the website which lists the various opening times and activities which are unique to each farm. In the UFU’s special Centenary year, farms will also be raising money for the nominated charity, Air Ambulance NI. The Ulster Farmers’ Union led initiative, principally supported by the Bank of Ireland UK, has been running since 2012 and has attracted almost 90,000 people throughout that time. The event is also sponsored by Asda, Cranswick and NFU Mutual and supported by Food NI, CAFRE, DAERA and the YFCU. 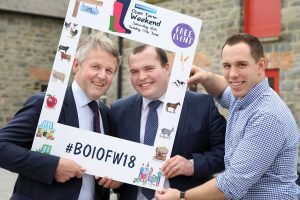 For more information, follow on Twitter @BOIopenfarm and like Open Farm Weekend on Facebook. Helping Bank of Ireland Open Farm Weekend Chairman Barclay Bell and Richard Primrose, Bank of Ireland Agriculture Manager NI launch the event hashtag #BOIOFW18 is Tim Acheson, Mash Direct’s Digital Marketing Executive. 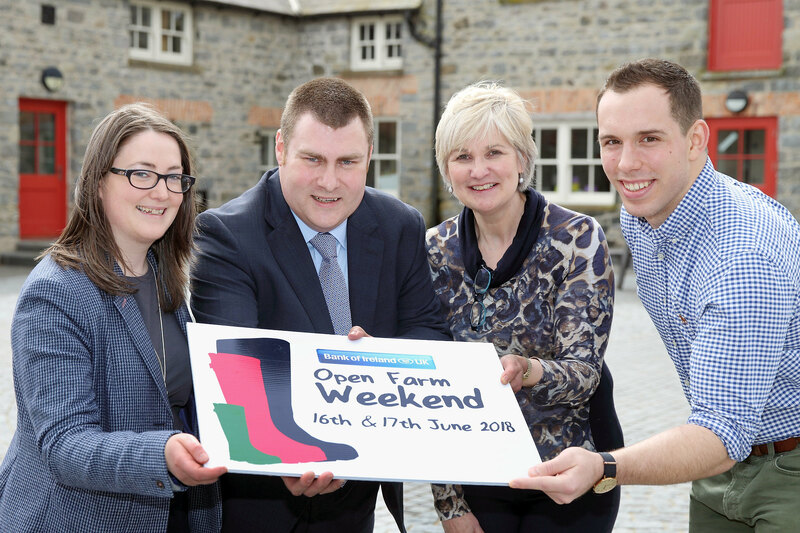 Some of the speakers that addressed the farmers at the Bank of Ireland Open Farm Weekend Training event, from left to right, Rebecca McConnell, BOIOFW Project Manager, Bobbie Goudy, NFU Mutual, Sylvia Matthews, Donagh Cottage Farm and Tim Acheson, Mash Direct’s Digital Marketing Executive.